Nan’s history is deeply involved with its neighbours, in particular Sukhothai which played an important role in both political and religious terms before Nan became a part of Lanna, Burma and Thailand in that order. 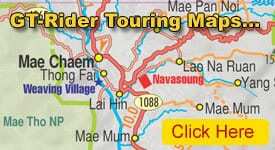 Today Nan is still the home of numerous Thai Lue and other hilltribes who retain highly interesting customs and traditions. Foreigners were barred from Nan province from the 1960s through the 1980s. This was a stronghold of the People’s Liberation Army of Thailand (PLAT) guerillas and their Laotian and Vietnamese sponsors. Insurgents passed back and forth across the border with Laos. When the last communists surrendered in the late 1980s, the undeveloped province continued to be frequented by what the Thai army called “bandits” who often blew up road construction equipment. Until the early 1990s, much of the eastern border with Laos was “out of bounds” and firmly controlled by the Thai military and border rangers.